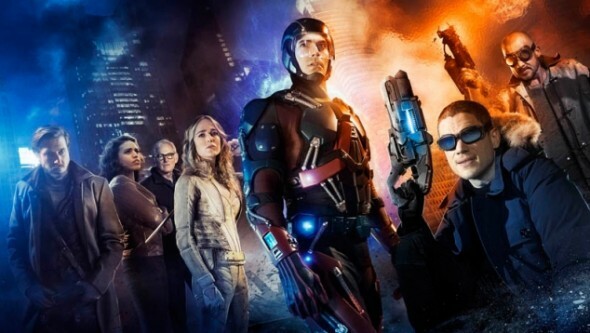 The premiere of The CW’s new series DC’s Legends of Tomorrow is only weeks away. And in anticipation, the network’s released a new trailer for the upcoming superhero series. DC’s Legends of Tomorrow premieres on January 21st. Legends of Tomorrow follows a group of heroes and villains from the DC comics universe who team up against a common super villain: Vandal Savage. The series stars Arthur Darvill, Victor Garber, Brandon Routh, Caity Lotz, Wentworth Miller, Dominic Purcell, Ciara Renée, Falk Hentschel, and Casper Crump as Savage. What do you think? Will you watch the premiere of DC’s Legends of Tomorrow? Really looking forward to it come January 21st. This is destined to be the first breakout hit of 2016.